Part of the model display room at the 2016 RPM Valley Forge meet. Another year comes to a close and it’s always interesting to look back on the completed tasks and those that remain uncompleted. But there’s more to review than just a bunch of items on a to-do list. I was able to attend a pair of fine RPM events; Valley Forge and Chicago. The opportunity to renew acquaintances and meet new modelers is as important to me as the hundreds of displayed models and the many outstanding presentations. 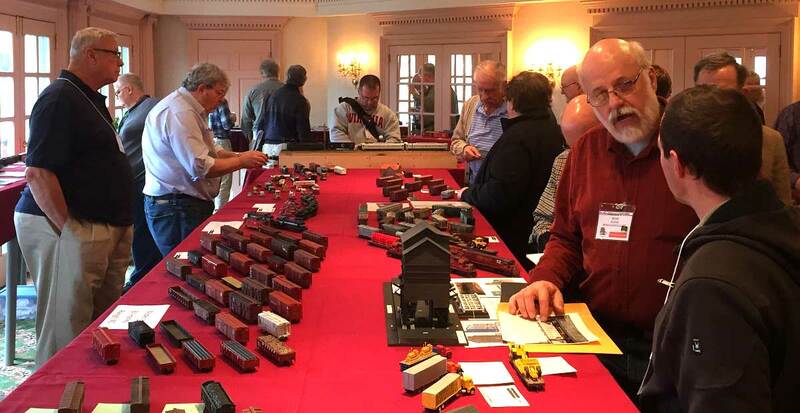 If you haven’t attended a railroad prototype modeler (RPM) meet, check out the event calendar and attend one near you. In addition to this blog, I manage content on the Resin Car Works blog. It’s been a thrill to pull modeling stories together by people with diverse interests for the blog presentation. Several of those posts have inspired me to work through kit issues or to try a new technique. As an added bonus, I was able to meet several of the RCW bloggers at the RPM Chicagoland meet and see some of their models on display. I need to build more of these in 2017. After completing two box car kits in late November, I went through a model building slump. I think this happens to us all and a short time away from the work bench typically clears my mind for another challenge. A new resin freight car kit is underway that is a step above my experience level. I’m taking my time and finishing a few steps each day. The crews at work in April. One engineer is even smiling! I am looking forward to new operating sessions in 2017 and the new Accurail 36-foot box car kits. I have a couple of guest blog posts at hand and a couple more headed my way soon. I’ve also been researching the 1926 B&O freight car fleet and look forward to presenting a summary much like the Wheeling & Lake Erie fleet review. I’ll be making plans soon to attend RPM-East in Greensburg, PA. I’ve been participating in that event since 1999 and look forward to seeing old friends and their latest modeling efforts. March will be here before I know it, so I better move a few more freight cars through the paint shop so there’s a new batch to display. I hope you are looking forward to sharing your latest work at an upcoming RPM or local modeler meet. Here’s to another year of railroad modeling! 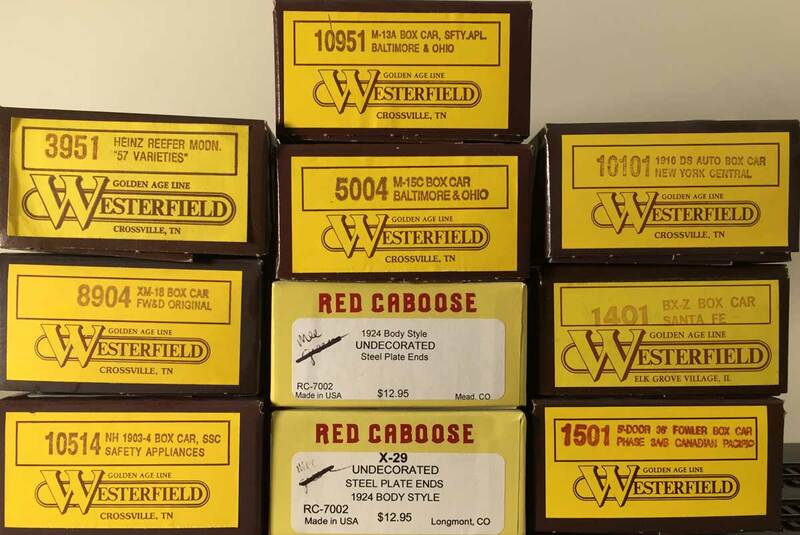 Currently struggling with a Westerfield Ventilated boxcar with a multi piece roof.Any suggestions in attacking the beast?